Tony! Toni! Toné! is an American soul/R&B group from Oakland, California, popular during the late 1980s and early to mid-1990s. 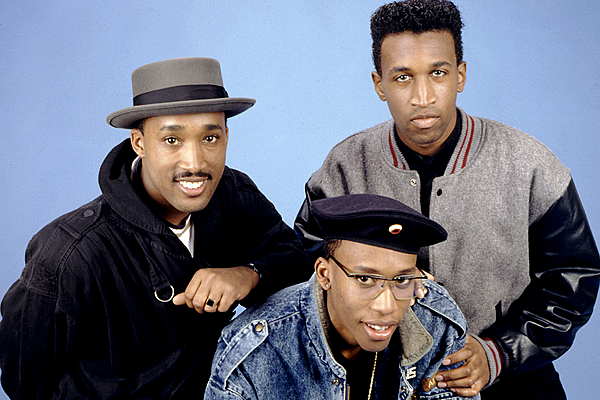 During the band’s heyday, it was composed of Dwayne Wiggins on lead vocals and guitar, his brother Raphael Saadiq (born Charles Ray Wiggins) on lead vocals and bass, and their cousin Timothy Christian Riley on drums and keyboards. Other members were Elijah Baker, Carl Wheeler, Randall Wiggins, and Amar Khalil, who is the current lead singer of the group, and Antron Haile. Their first album, Who?, produced and co-written by Denzil Foster and Thomas McElroy, was released in 1988. The album went gold and had several hit singles. The first of these, “Little Walter” went to #1 on the R&B charts. The next three singles, “Born Not To Know”, “For The Love Of You” and “Baby Doll” were all Top 10 R&B singles. The group’s second album The Revival was released in 1990 and reached platinum status. The album spawned several #1 R&B hits with “It Never Rains (In Southern California)”, “Feels Good”, “The Blues”, and “Whatever You Want” all topping the R&B charts. “Feels Good” was the group’s first single to breach the Top 10 of the Billboard Hot 100 and went gold. Tony! Toni! Toné!, with Amar Khalil singing lead vocals (in place of Saadiq), has been touring since late 1998.